Less than a month prior to presidential elections in Kyrgyzstan Ferghana.Ru correspondent walked through the streets of Bishkek to learn how the presidential candidates run their campaign and convince the voters that "they are the best". As of June 25 one could obviously track the propaganda of only three out of six registered presidential candidates. It is natural that current President Kurmanbek Bakiev has most competitive positions. PR experts of current head of the state decided to avoid using the picture of Bakiev himself. 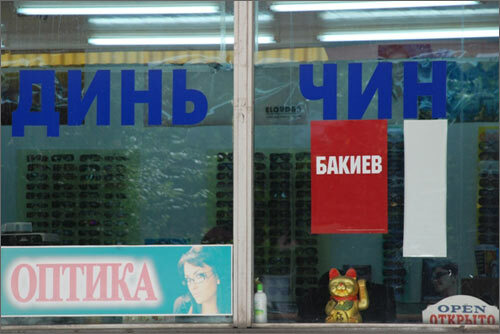 The shopping areas have vinous posters with short message - "Bakiev". 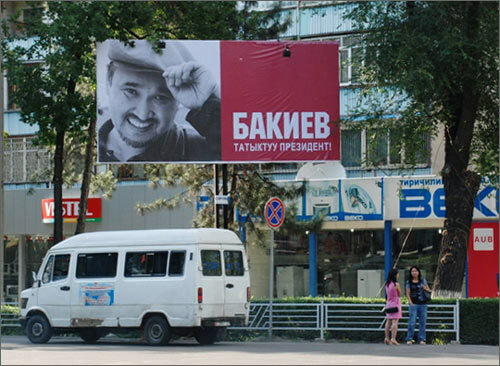 "Ordinary people" are pictured at billboards and they say that "Bakiev is our president". 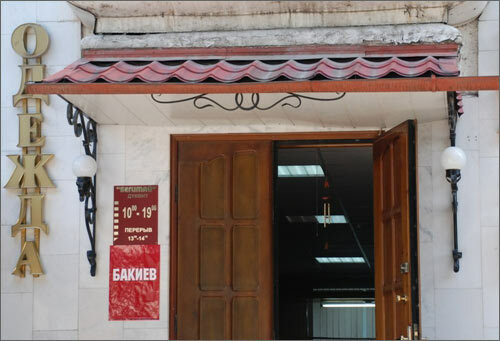 The local critics note that the posters with the last name of the President, which can be found at pharmacies, shops, boutiques and other places, make an impression that all this property belongs to Kurmanbek Salievich. According to some entrepreneurs, they were forced to authorize the placement of such posters. 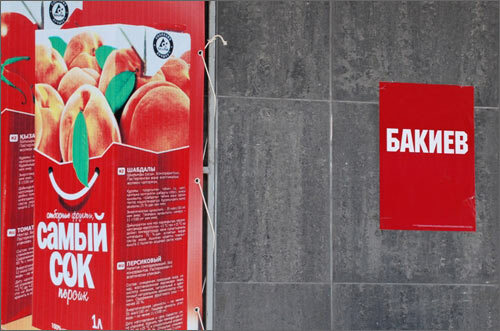 "We were informed that if we do not let them stick the posters we will have troubles" one of the managers of small shot in Bishkek shared with Ferghana.Ru. 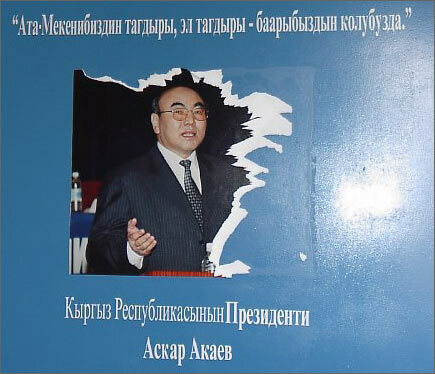 The narcologist Jenishbek Nazaraliev is also involved in active campaigning. His colorful portraits remind of narcotic profession of the doctor. His slogan is "everything is in your hands". 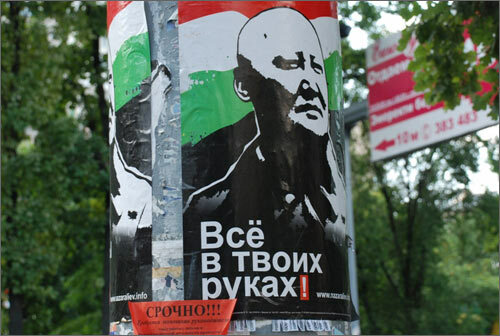 It is interesting to note that about 70% of Nazaraliev’s posters have been already removed. At the same time, nearly all the posters, promoting current President, are left untouched. 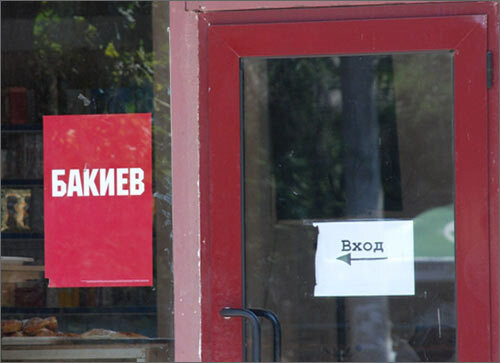 The election campaign managers of opposition candidate Almazbek Atambaev decided not to use the posters. 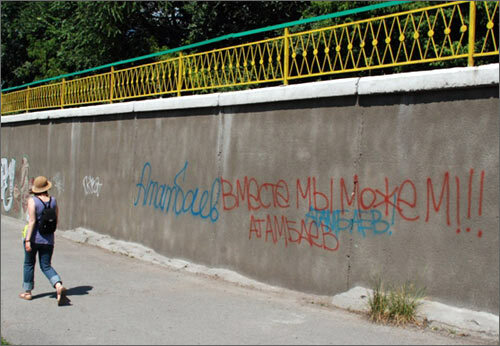 In some areas of the city there are walls where the stranger could see the graffiti, promoting the opposition candidate. They are not vivid enough and do not impress much. According to campaign offices of Atambaev and Nazaraliev, their candidates, willing to use billboards in promo campaign, had troubles doing that. "The advertising agencies or individuals, owning the billboards, said that there were no available boards, arguing that all of them had been taken already. Besides, they said that they were prohibited to post political ads at their billboards". Counting the number of billboards, promoting current president (not only in the capital city but also in the regions of Kyrgyzstan), one can be sure that the President has no problems, finding free billboards. It has to be mentioned that Kurmanbek Salievich Bakiev was elected as the President of Kyrgyzstan shortly after the escape of the first President, Askar Akaev. Mr. Bakiev is going to run in the elections for the second time this summer.